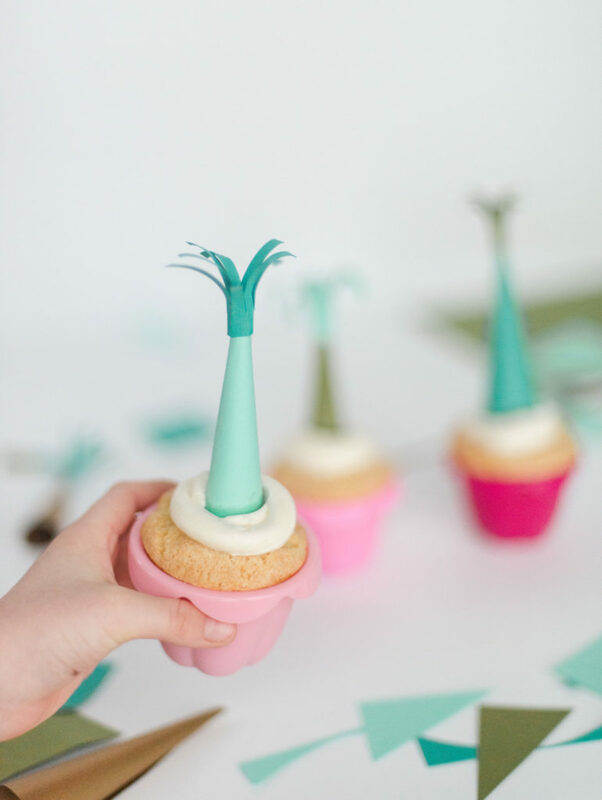 How to make party hat cupcake toppers, an easy 10 minute craft! 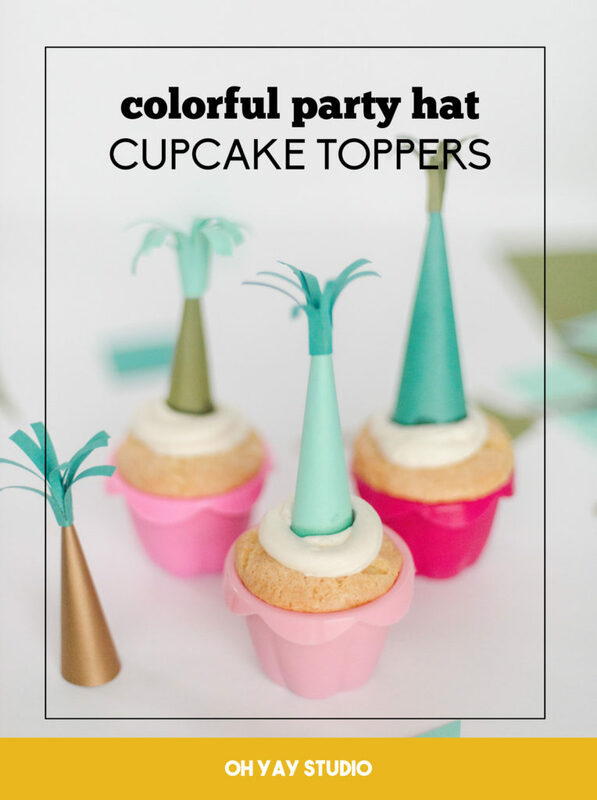 You can make these party hat toppers in ANYYYYY color combo, texture, or size that you want. 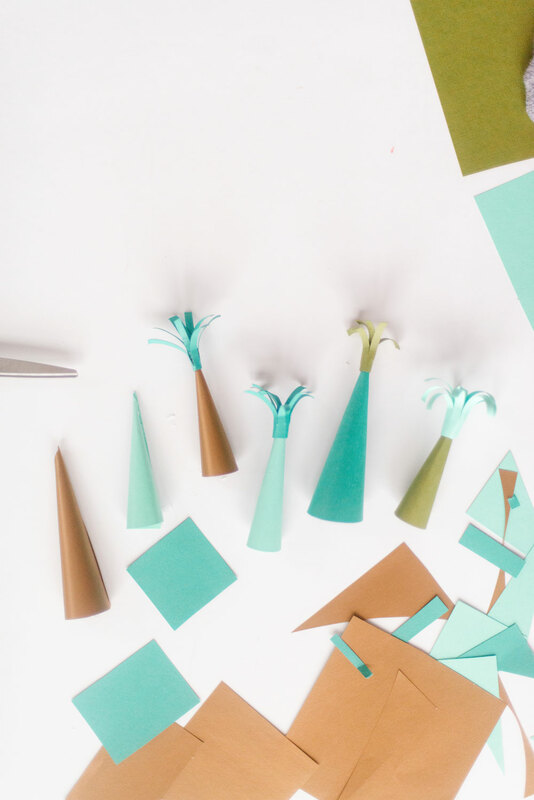 They can be itty-bitty for a baby shower or HUGE for a giant milestone….or they can just be made from leftover scrap paper that you have lying around! 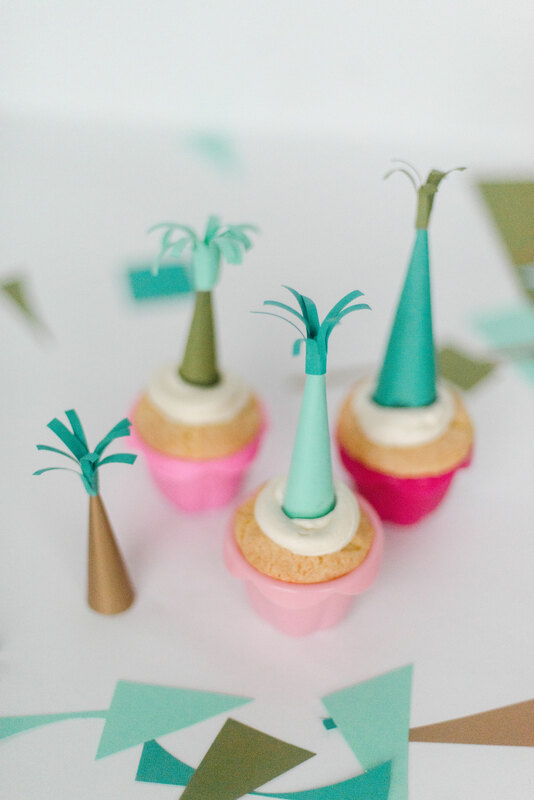 Really, the sky is the limit with these little ditties. 2. 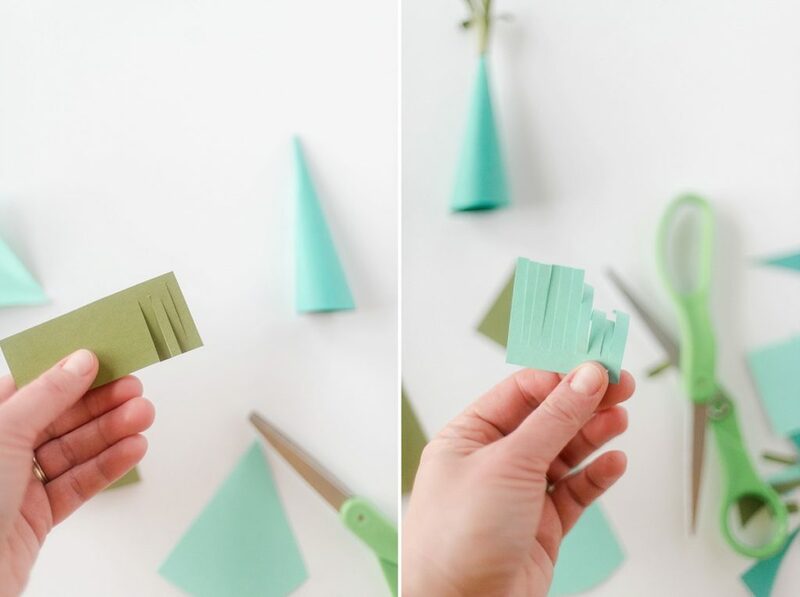 Cut strips of paper in various 1″-2″ widths (these will become the top tassels so you don’t need loads of strips). Then cut these strips into 3-3 1/2″ chunks. Fringe the long edges of these chunks for the tassels. Open up a scissors and carefully run each fringe between your finger and the sharp inside edge of the scissors, working from inside to outside, to curl the fringes (PLEASSSSE be careful not to cut yourself if you have sharp scissors)! 3. With your hot glue, run a bead of glue along one side of the triangle on the hat. 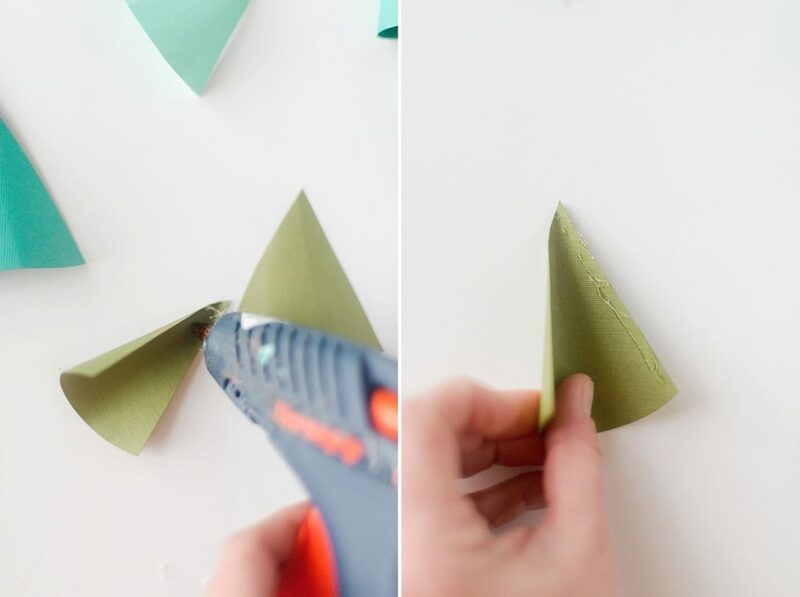 Then roll the triangle into a hat shape and glue together. 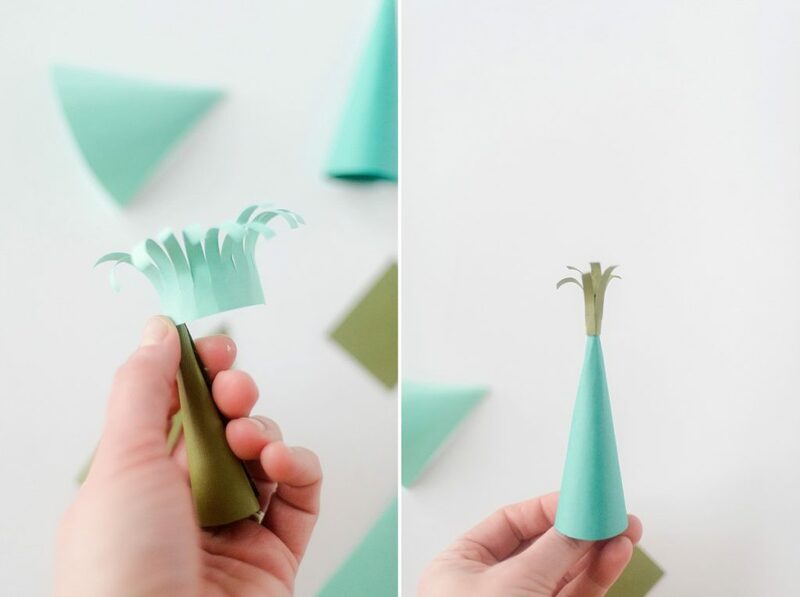 In a tight circle, roll up the fringed piece (in step 2) and then open up slightly and run a small (very small) bead of hot glue along the rolled fringe to stick it together and then adhere to the top of the party hat. « A DIY planner costume + my creative endeavor for 2019!